Enable EIGRP AS 100 on all routers to provide reachability between all subnets including loopbacks (172.16.10x.x/24). On 10.1.56.0/24 a video server has been installed. It will send traffic towards 224.5.5.5. Since almost all users will be receiving the stream use the push method to enable multicast support on all routers. Segments which do not wish to receive the video stream should prune the traffic. Verify that the multicast towards 224.5.5.5 works for the clients in 10.1.234.0/24 subnet. On 10.1.56.0/24 a video server has been installed. It will send traffic towards 224.5.5.5. Since almost all users will be receiving the stream use the push method to enable multicast support on all routers. Segments which do not wish to receive the video stream should prune the traffic. Verify that the multicast towards 224.5.5.5 works for clients in 10.1.234.0/24 subnet. Pic. 2 - R1's PIM-enabled Interfaces and Neighbors. Pic. 3 - R2's PIM-enabled Interfaces and Neighbors. Pic. 4 - R5's PIM-enabled Interfaces and Neighbors. 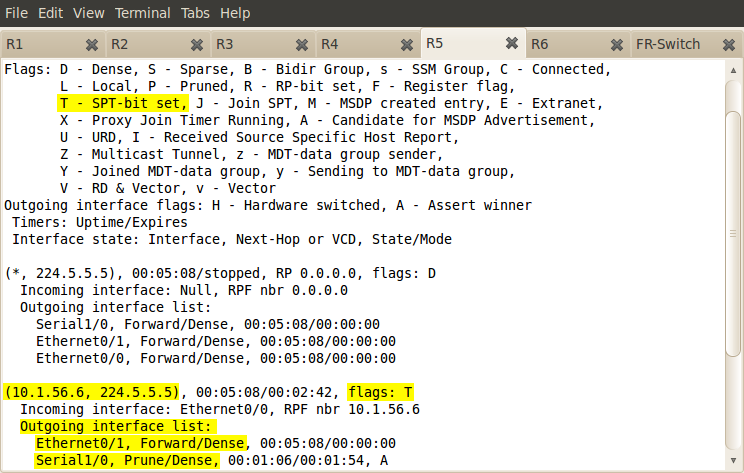 I also checked 'show ip pim neighbor' on all routers to make sure the PIM neighbor relationship has been established. 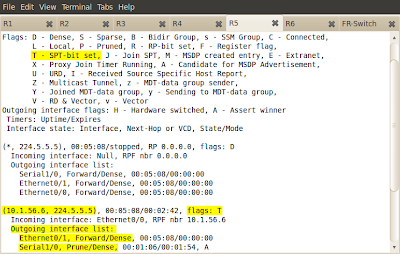 In order to verify the multicast, R6 will be my server sending ping packets towards 224.5.5.5. R4 will emulate the client to verify if it receives the traffic. Pic. 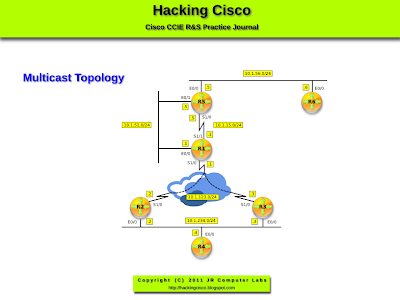 5 - The multicast routing table on R4. 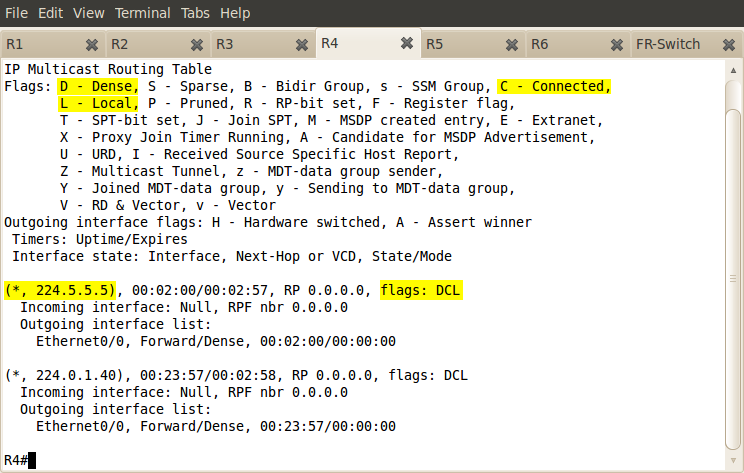 As expected, the client has been registered since the entry (*,G) shows in the multicast routing table. Ping from R6 towards the group should work now. Pic. 6 - Ping Test. Pic. 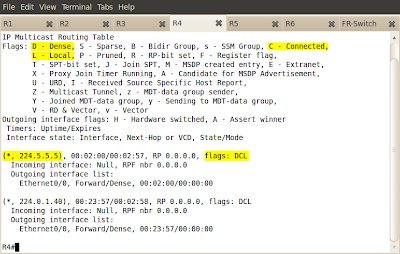 7 - R5's Multicast Routing Table. RPF check is always performed based on the IGP routing protocol (here: EIGRP). STP-bit, chooses the shortest path prunning less optimal EIGRP paths.